SmartGo Kifu now supports split view on the newest iPads running iOS 9, so you can run it next to Safari, Notes, or even Go Books. And in addition to numerous UI refinements, there are two new features. 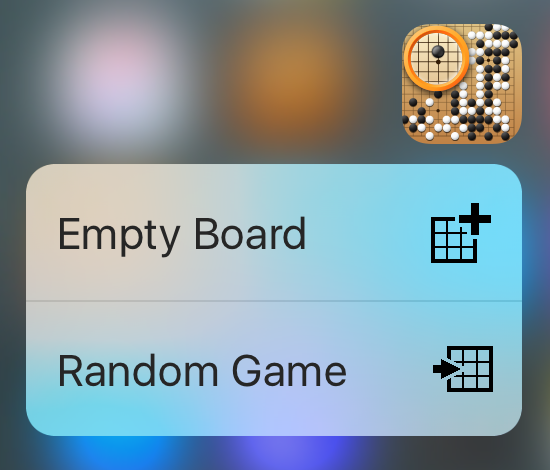 Empty Board: Creates a new game in My Games. You can then quickly enter a position or analyze joseki, for example. Random Game: Goes to a random game in the library of 84,000 pro games. Just one more click and you’re watching a pro game on auto-replay while waiting in line. 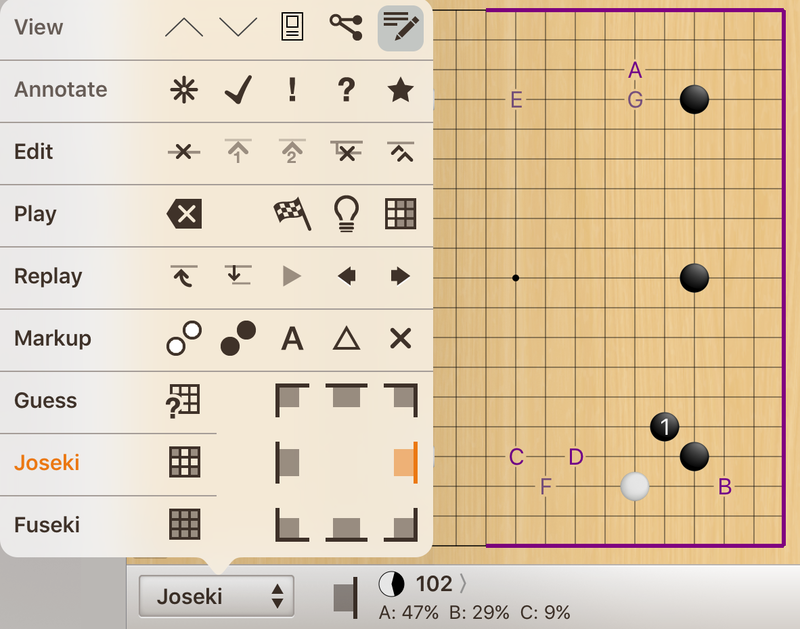 Joseki matching has been extended with the ability to match a whole side of the board. This lets you match popular openings like the low Chinese opening or the sanrensei. It also gives you more context to see how pros handle a joseki in relation to another corner. As with joseki matching, tap on the matching stats to see a list of the games matching that position, then explore how those games typically develop from that position. Side matching is also supported in the Mac version.